When the cousins cameYamasaki, Katie, author, illustrator. Fish for Jimmy : inspired by one family's experience in a Japanese American internment campYamasaki, Katie. Princess hairMiller, Sharee (Illustrator), author, illustrator. Don't touch my hair!Miller, Sharee (Illustrator), author, illustrator. The babysitter from another planetSavage, Stephen, 1965- author, illustrator. Barbarians at the gateBryan Burrough and John Helyar. The professor and the madmanSimon Winchester. South and WestJoan Didion ; foreword by Nathaniel Rich. Essays of E.B. WhiteE.B. White. Half-light : collected poems 1965-2016Bidart, Frank, 1939- author. This connection of everyone with lungs : poemsSpahr, Juliana. Singing school : learning to write (and read) poetry by studying with the mastersPinsky, Robert. Odes to common thingsNeruda, Pablo, 1904-1973. Selected stories and poems of Edgar Allan PoePoe, Edgar Allan, 1809-1849. Blue lipstick : concrete poemsGrandits, John. I'm just no good at rhyming and other nonsense for mischievous kids and immature grown-upsHarris, Chris, 1970- author. I haiku youSnyder, Betsy E.
Sail away : poemsHughes, Langston, 1902-1967. The swingStevenson, Robert Louis, 1850-1894. When green becomes tomatoesFogliano, Julie. Where the sidewalk ends : the poems & drawings of Shel Silverstein.Silverstein, Shel. Urban homesteading : heirloom skills for sustainable living / Rachel Kaplan with K. Ruby Blume.Kaplan, Rachel. Small plot big harvestHalsall, Lucy. Paradise lot : two plant geeks, one-tenth of an acre, and the making of an edible garden oasis in the cityToensmeier, Eric. Garden your cityFeldt, Barbara Hobens. The rooftop growing guide : how to transform your roof into a vegetable garden or farmNovak, Annie, 1983- author, illustrator. 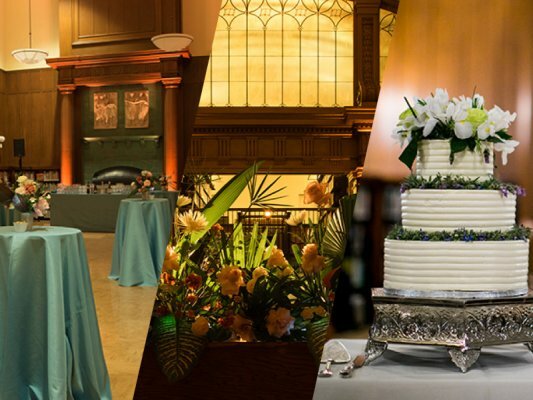 Host your wedding or corporate event at a Brooklyn Public Library branch. 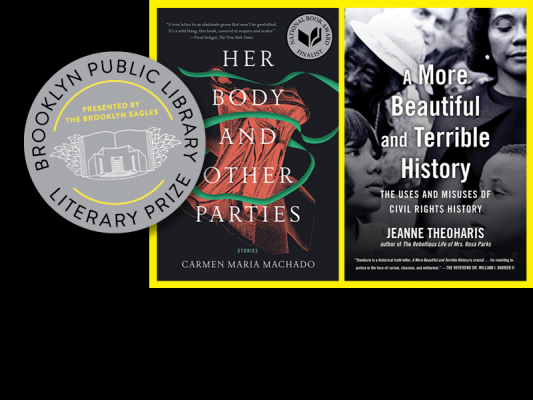 Learn more about this year's selections!